County Windows have been installing high quality conservatories in Southampton and the surrounding area for over 15 years. Your conservatory project starts with a FREE 3D design consultation with one of our experienced designers and aÃƒâ€š quote with 0% finance options available, subject to status. 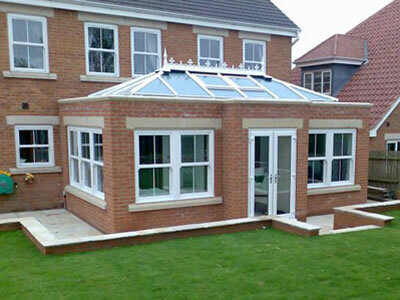 The bespoke design of yourÃƒâ€š conservatory will be expertly installed and guaranteed for 10 Years. 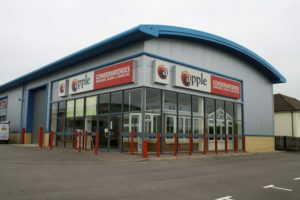 Our dedicated team will ensure that your project runs smoothly and you are delighted with your new conservatory. 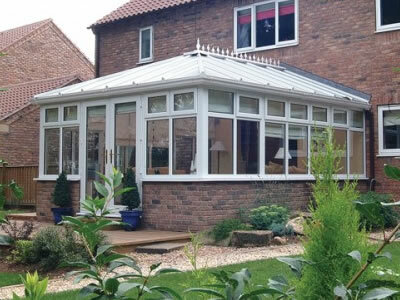 A popular conservatory that will suit both modern and period homes, typically comprising of a three or five faceted front bay, steep roof with an ornate ridge finish. 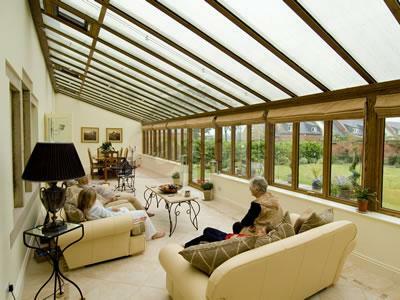 A versatile conservatory that maximise floor space with a rectangular design. 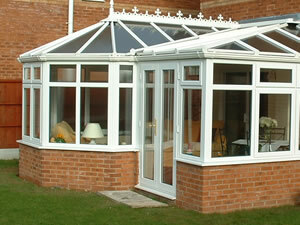 Ideal for smaller conservatories but a grand and impressive design for the larger conservatory. A contemporary conservatory design with a Mediterranean feel providing the ideal sun lounge or summer dining area. 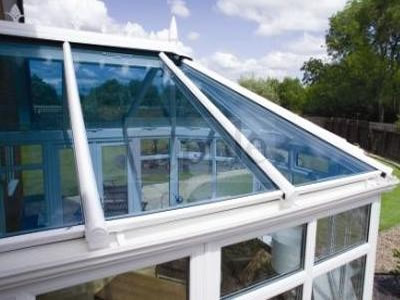 The Lean-To conservatory style is well suited to bungalows with a shallow pitch roof. This style of conservatory is ideal for creating a space with many uses or getting that little bit of extra room, for the whole family to enjoy. Sitting somewhere between a conservatory and an extension, orangeries provide the light and airy feel that you get from a conservatory but with a roof and structural design that allows for a more decorative interior. Upgrade to an Eco Glass or solid conservatory roof and make a real difference to your living space with improved style and comfort. A new conservatory roof will enable better control over temperature inside the conservatory through the year, keeping it warmer in the winter and cooler in the summer. 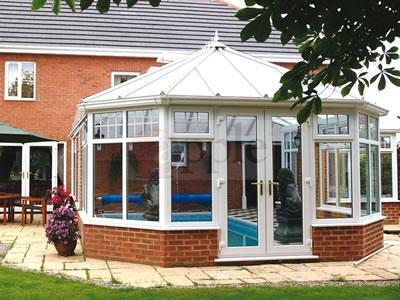 Our bespoke conservatories give you that extra space you require without compromising on design and suitability. Our conservatory designers strive to blend the practical and the WOW factor for maximum enjoyment and comfort in your new space. County Windows are a very well established conservatoryÃƒâ€š company, we have been installing quality conservatories in SouthamptonÃƒâ€š for over 15Ãƒâ€š years. 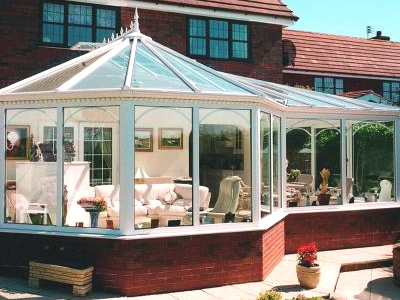 Drop by or call our friendly team on 0800 688 8832 and get your conservatory project started.